Extra Curricular Activities: How Soon is too Soon for your Kids? Participating in extracurricular activities is enriching for the development of children and teens. It’s a great way to get them interested in healthy hobbies, stay in shape, and practice social skills, outside of the school environment. Studies show that participation in extracurricular activities leads to healthier, happier, and well-adjusted children. In addition, the challenges of mastering a skill, healthy competition, and needing to work with others as a team teaches children imperative lessons that help them throughout their entire lives. For these reasons, many parents are eager to enroll their children into classes and teams as soon as possible. However, there’s been a growing concern that perhaps children are overstressed or starting out too young, foregoing much-needed time for creative play and relaxation. It’s important for children to start young so they become habituated to the active lifestyle that extracurricular activities provide, but a balance needs to be met between engagement and an appropriate environment for children to explore and play. The age of your child is not as important as their skill level and temperament. Assess if your kids are at a stage where they are ready to interact with peers and participate in an activity. Some children may be more comfortable in foreign social environments sooner than others. Certain activities also require motor skills, memorization, and the ability to follow directions that your child has not developed yet. Regardless of skill level, there are a variety of activities to choose from that can suit children of all ages. Gymnastics is a great sport for young children, as they love to tumble, climb and crawl. Children’s bodies are still flexible and limber, making it much easier to execute gymnastic forms. There’s also a high level of personal instruction for children still learning the nuances of rules and procedure. Finally, the padded floors and walls make gymnastics an incredibly safe sport for toddlers. Swimming is also a great sport for young children. The buoyancy of the water eliminates any impact with harsh surfaces, presenting fewer risks for kids. Swimming classes can also be taught as a group, or in a one-on-one environment. The personal attention received in one-on-one lessons can be helpful for children that are nervous or anxious in unfamiliar environments. Swimming classes also aren’t as competitive as other sports and provide ample opportunity for your child to focus on learning a few simple strokes while having fun in the water. As swimming lessons are offered to toddlers and infants, you can begin classes as early as you like. Art classes can be a lot of fun for small children. Introductory art classes leave ample room for your child to have fun and be creative with minimal pressure. As budgets for art programs decrease in schools, it’s important that we as parents encourage the arts in extracurricular activities. Creative arts are more than simply aesthetics; they can help your child develop the skills to creatively solve problems and they are also healthy venues of self-expression. Keep it fun and relaxed: The objective for young children is to stimulate interest in extracurricular activities. In the beginning, it’s important to allow your child to have fun and associate positive feelings towards active pursuits. You don’t want to risk frightening him or her from the experience with something too difficult or boring. 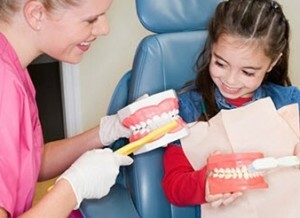 Choose an activity that will allow your child to experience fun and enjoyment. Choose activities with low pressure and competition: Introducing your child to a highly competitive environment too early can be very stressful and unhealthy. Choose activities that allow for more collaborative play with less emphasis on achievement and competition. Be mindful of risk and injury: Young children are very vulnerable to injury and lack the skills to protect themselves. 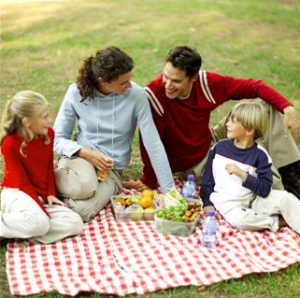 Choose an activity that is safe and has minimal physical contact. Ultimately, it’s important to allow your child some room to pick and choose something they like and they’ll be more likely to continue participating. When children are very young, it’s important for them to associate positive emotions with healthy hobbies than it is for them to master them or compete. Thrusting children into overly demanding, stressful, and foreign environments prevents them from obtaining the benefits of extracurricular activities. You’ll have plenty of opportunity to gradually increase challenges or pick more strenuous activities when your child becomes older. 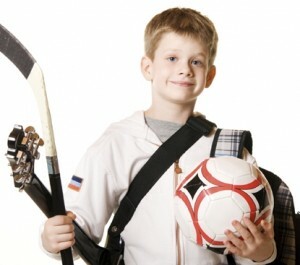 For now, keep it light and fun and your child can begin reaping the benefits of extracurricular activities at any age. Guest Post Bio: Brett Callan is an instructor at murraycallanswimschools.com, where their Escondido swim lessons offer customized support for children throughout San Diego. He loves to enjoy the San Diego weather whenever he can, whether from the beach or at a pool. This is a guest post product review. The content and opinions expressed in this post are not my own. I do not have any personal experience using this product. Guest Post Author: Kristen Lowry – Kristen is a happily married mother of two and lives in sunny California. When Kristen enjoys fitness, health, being a month, and strolls by the ocean. I have always struggled with weight management. My weight has fluctuated over the course of my life for various reasons, but I was never able to achieve and sustain a healthy weight. Every time I put on weight, usually after I had a child or after the holidays, I made a commitment to losing weight by any means necessary and was usually able to achieve the weight loss I was looking for by dieting, but I had a hard time keeping the weight off. Often times I would lose the weight and a few weeks after completing my diet, I was right back at the weight I started at. 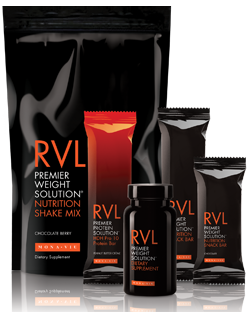 After the 4th time of losing weight and putting it back on, I decided to try the MonaVie RVL program with Mark Macdonald. Mark Macdonald is an award-winning author, who appears frequently on CNN. He worked alongside MonaVie to help people ditch their diet. I quickly found out that this was not a typical weight-loss diet that I was accustomed to. Instead of counting calories, the MonaVie RVL program helped me truly change the way I thought about nutrition. RVL helped me realize that if I wanted to lose weight and keep it off, I was going to have to change not only the things I ate but also the way that I cared for my body. With the MonaVie RVL program, I was able to not only lose 15 lbs., but I have now kept it off for a full year. This was unlike any other weight loss plan I had been on, but what exactly made it different. As I hinted at above, MonaVie RVL is not a diet; it is a change in attitude. The first thing I received with the RVL program was an incredible 8 DVD workout pack. Each DVD targets a specific type of workout. Throughout the DVDs you will find upper/lower body workouts, exercises to strengthen your core, as well as cardio and flexibility exercises. These DVDs, led by Mark Macdonald, target every muscle group. These interactive DVD workouts will leave you feeling great and is one of the keys to getting your body back in shape. Also included in the RVL package is a nutrition booklet that will teach you the importance of eating right. Along with this booklet you are given access to a robust online nutrition system. This system allows you to input your personal nutrition facts as well as food that you enjoy eating. When I did this, I was given thousands of recipes that would help me lose the weight that I wanted, but were also foods I wanted to eat. This helped me eat foods; I wanted to eat while still maintaining a healthy lifestyle through the foods I ate. This is by no means a cookie cutter system, and I could not believe the level of detail that was put into my individual workout plan. There are also optional meal substitution shakes that are available for purchase and, quite frankly, they taste great. I am living proof that the MonaVie RVL program works. I was able to lose 15 lbs. in 6 weeks and keep it off. This is not a quick fix diet program, but a legitimate way to change the way your body looks for the long run. I would highly encourage anyone that is looking to lose weight to look into the RVL program with Mark Macdonald.